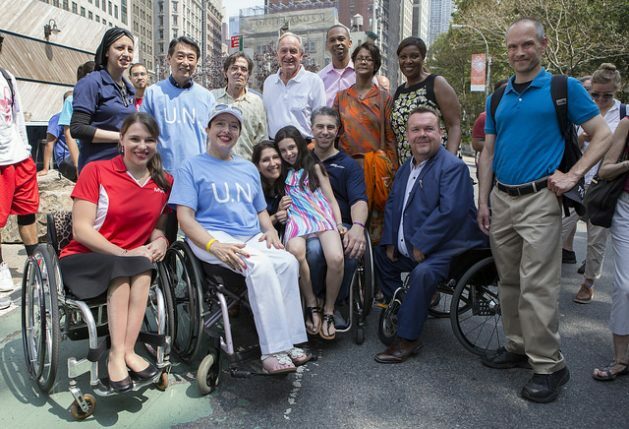 UNITED NATIONS, Aug 22 2018 (IPS) - Even though over six billion people—nearly one billion of whom will have disabilities— are expected to live in urban centres by 2050, many of the world’s major urban cities have a long way to go before their infrastructure becomes inclusive for people with disabilities. Chicago also has a long way to go to make housing more accessible and more affordable to people who are disabled and those who pay more than 50% of their income for housing. Moreover, we have to stop creating homelessness and using gentrification via high rents and housing costs, and discrimination against persons for past mistakes or untreated mental illness that led to incarceration that have no bearing on their ability to pay their rent or buy a home with services in place if needed.